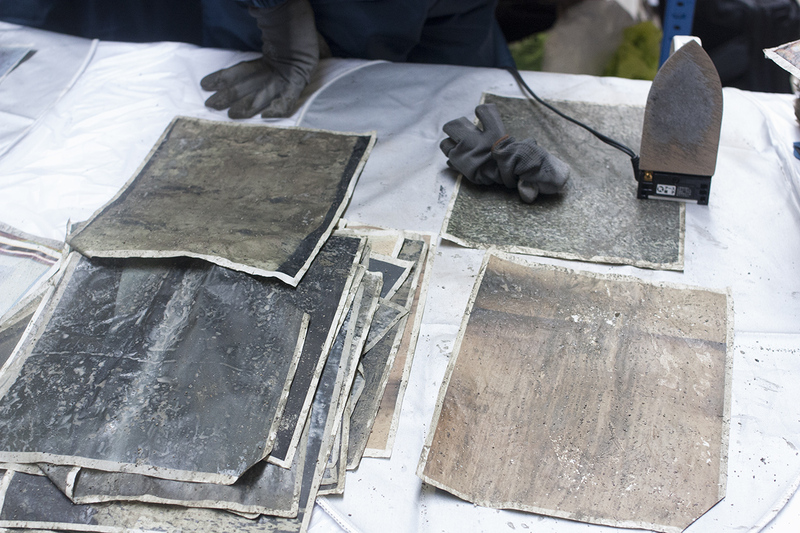 Books printed with iron powder and cement in a post-industrial performance. 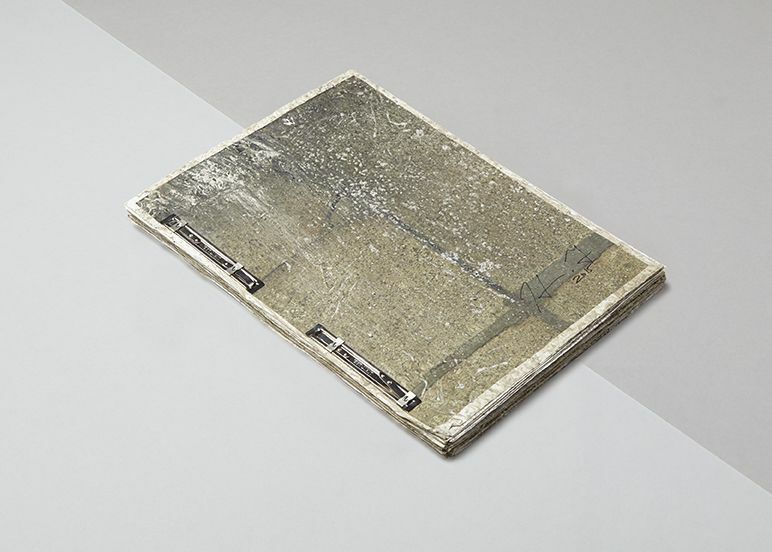 During the Offprint 2015 publishing fair at Tate Modern (Britain), Self Publish, Be Happy celebrated its fifth birthday by opening a project space hosting workshops, performances, screenings, a bookshop and a speakers’ corner where anyone could talk about the books they loved. 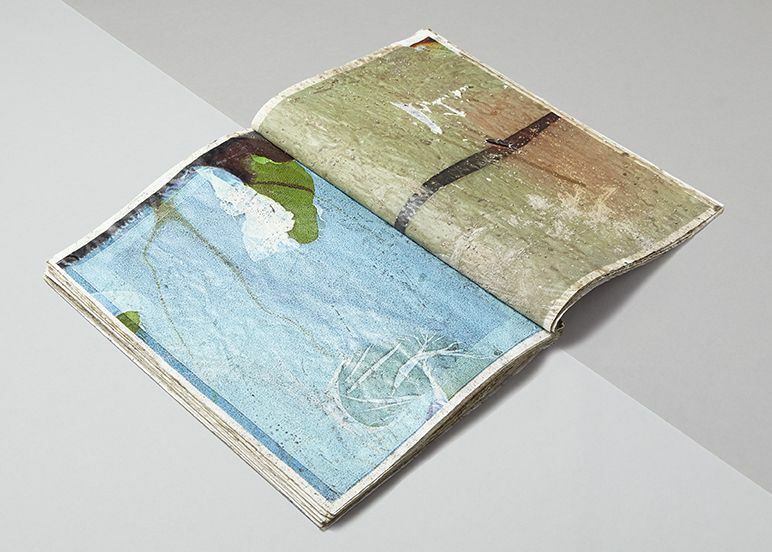 We played with many different photographic and printing processes, but all with the aim of inspiring the audience to make their own books. 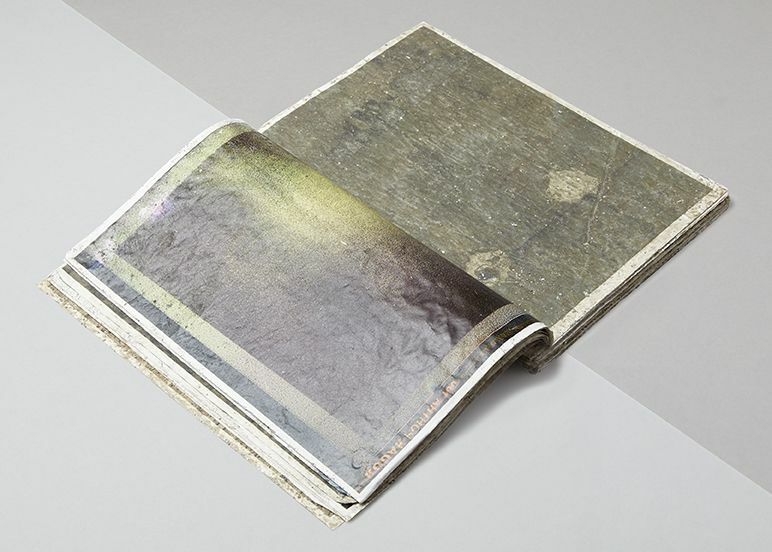 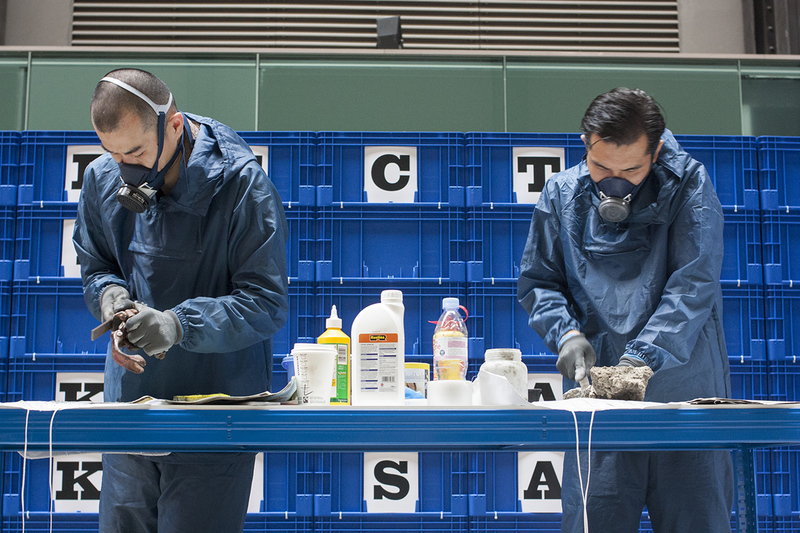 In their experimental live performance Effect Twin, Japanese photographers Daisuke Yokota and Hiroshi Takizawa grated rusted iron objects and a block of cement, respectively, onto printouts of their photographs before sealing them with wax and glue, drying them out, and binding them together into 75 unique photobooks which have now sold out on our website.